McDonald's has launched the second annual national tour of its "McFlurry Nice Cream Van", a van giving out free McFlurrys, for which Razorfish has created an app. 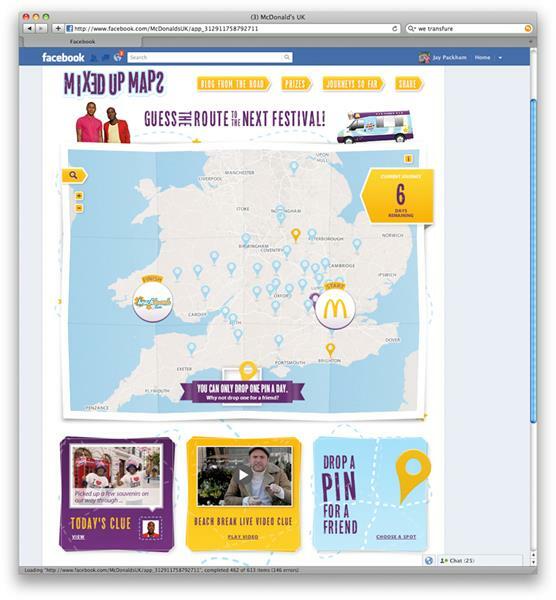 The Mixed Up Maps Facebook app launches on the McDonald’s UK Facebook page and allows users to see an interactive map of the UK and compete to drop pins to guess the van’s route as it travels to Beach Break Live, T4 on the Beach, GuilFest, Party in the Park and Sundown Festival. Winners of the Facebook competition will get prizes including festival tickets, iPods, iTunes vouchers and festival tents.